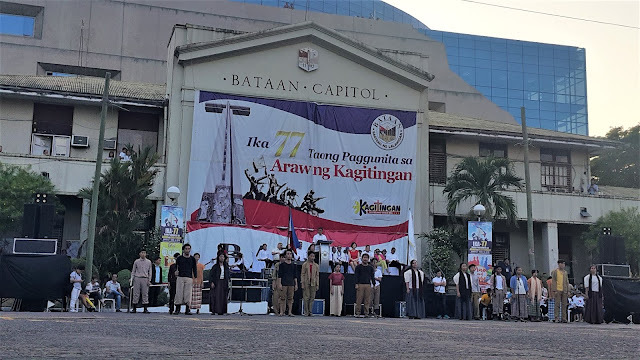 To kick off the celebration of the 77th 'Araw ng Kagitingan' (Day of Valor)-- one of the major holidays in the Philippines, people of Bataan, invited guests and war veterans gathered in Bataan Capitol Compound a day before April 9 to commemorate the unsung heroes of the freedom that Filipinos are enjoying and to remember the walks of the Filipino soldiers who unfolded our history. 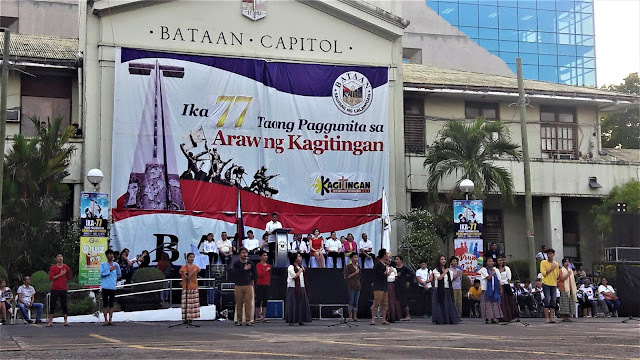 On April 8, 2019, a foot parade boosted the crowd's passion to partake in this historical feat having various groups from Bataan to join the parade and walk along the major streets of Balanga going to the Capitol. 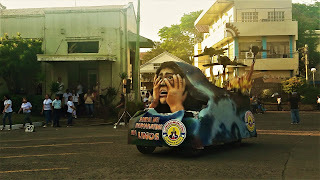 Each year, 'Araw ng Kagitingan' is a huge event in Bataan and each year it gets bigger and better. 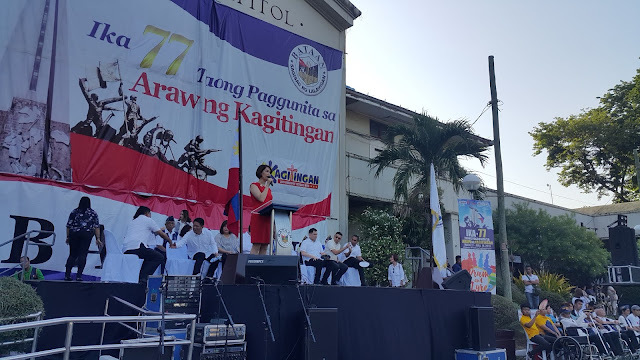 An opening speech has been handed on by Congresswoman Geraldine Roman. 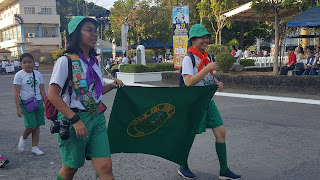 The event started with the most awaited foot parade which is one of the highlights for this year's Araw ng Kagitingan. 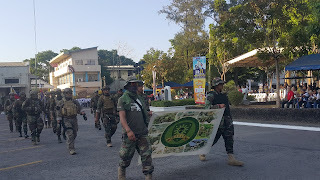 Different groups were present on this special day including the Philippine Airforce and Command, Bataan Airsoft Neutral Alliance Team, Bataan Knights of Columbus, Capitol Security, and Intelligence Unit, Bureau of Fire Protection Bataan, Police Hotline Movement Incorporated, Provincial Disaster and Risk Reduction Management Office, Metro Bataan Development Authority, Bataan Peninsula State University Red Cross Youth, Regional Emergency Assistance Communications Team Region III Bataan Chapter, Professional Regulation Commission Accreditation, Boy Scouts of the Philippines Bataan Council, Bataan Girl Scout Council, Veterans Association of the Philippines sons and daughters association inc. and VFP SDAI 2nd District Bataan. 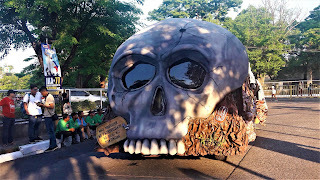 Winners among the floats were announced before the event ended and the town of Samal made it on the top for this year's parade. 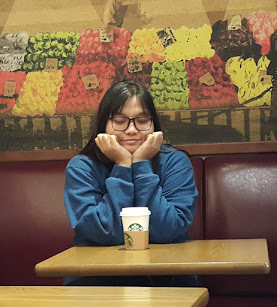 Having the concept of the skull representing the death march and the Filipino soldiers walking and getting killed while their hands are tied upon one another. The best part of this float is that one of the soldiers on display is actually a living human who controls the whole scene for re-enactment. The second and third prize winners include the city of Pilar bagging the 3rd place and the city of Balanga making it to 2nd place. 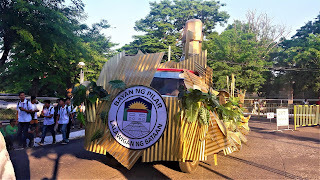 Parade floats representing different phases of Bataan's burning passion for peace has been pre-judged and paraded on to the Capitol. The floats eventually highlighted significant stories from pre-war to the post-war period. 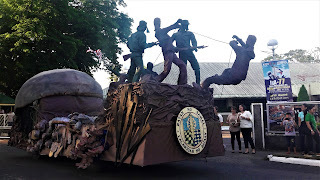 Aside from the float parade, selected youth of Bataan staged a few important scenarios in the province's history so that guests and the younger generation would understand the value of sacrifices that the war veterans gave us. 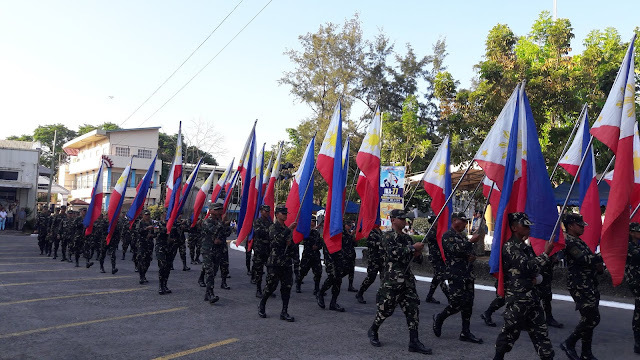 Undersecretary for Civil Veterans and Public Affairs Reynaldo Mapagu shared the achievements of the government for the support of the veterans and the future plans to further help them and their families. 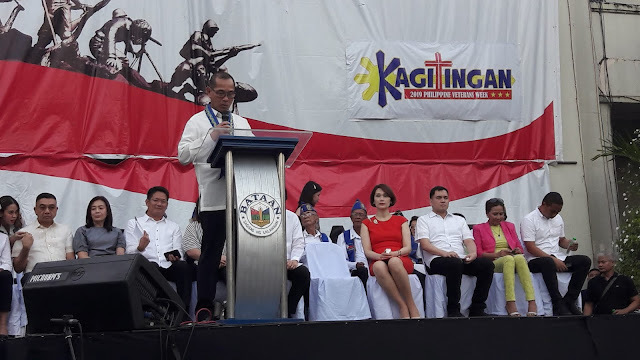 As well, a short overview of the goals of the government regarding proper education and livelihood of the current generation and improvement in the services for the veterans was briefly talked about by the 2nd District of Bataan Representative Jose Enrique Garcia. 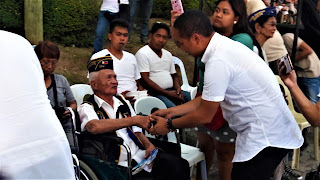 To show the respect of the whole Bataan to the veterans, they were given pins to commemorate the special day. 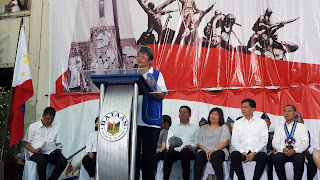 As well, following is a speech from Felicisima Beltran, one of the war veterans and who thanked the initiatives of people behind those who helped in the providing better welfare and support for them. 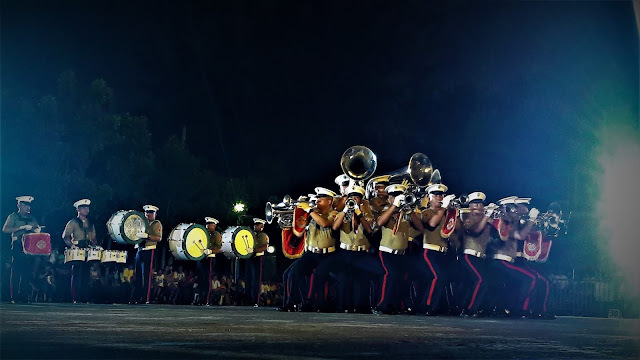 To close the event, performances coming from our energetic AFP band graced the stage with so much music serenading everyone in the crowd and switching the mood easily to the tune of their music. It was a total blast! This is my first encounter with an event related to veterans and I was totally surprised with the narration of their story and the number of sacrifices and sufferings that they've gone through in the early years of their lives. 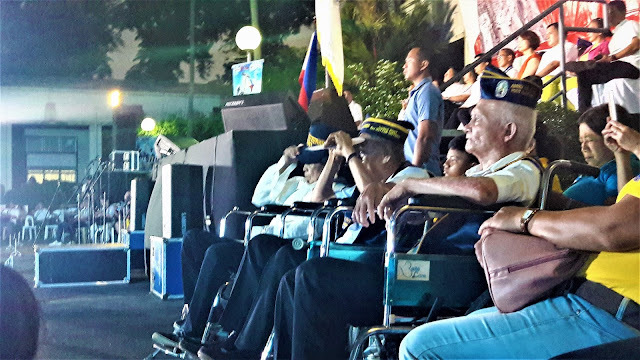 I hope the younger generation would still appreciate the efforts of our veterans who are living proofs (and unsung heroes) of how Filipinos have suffered before and learn to value the independence we are having now.